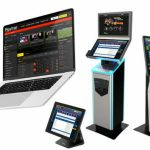 Choose one of our demo sportsbook, all platform are multi language and multi currency, where the customize suits your bookmaker needs, and begins to take your first steps in Sirplay world. The design is compatible with all the elements. Mobile, Tablet & Desktop Friendly. Customize the display odds in 5 different ways, different odds outcomes: European format (decimal odds), UK format (fractional odds), or American format (moneyline odds) including Hong Kong, Indo and Malay odds format. The sportsbook platform is compatible with all browser. Mobile, Tablet & Desktop Friendly. You can easily choose which language and currency you want to see the platform.